The Nottingham Forest Defender joined Diamonds on 24 October 2008 on a loan move originally planned to last until 1 January 2009. The defender had been with the Forest Youth Academy and had captained the club’s reserve side and had proven very versatile – capable of playing in central defence, right back and in midfield. 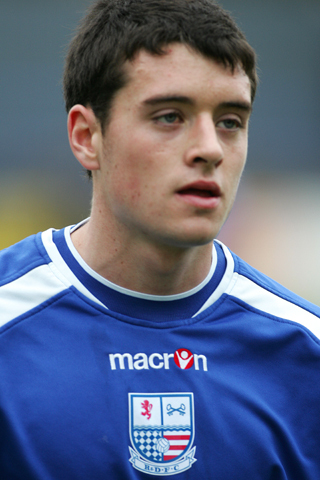 Brendan had won the ‘Young player of the year’ award at the City Ground and had played for Forest’s first team twice, in the opening two games of the 2007/08 Coca Cola League One season. He has also played on loan at Chesterfield in that season, where he made nine appearances. 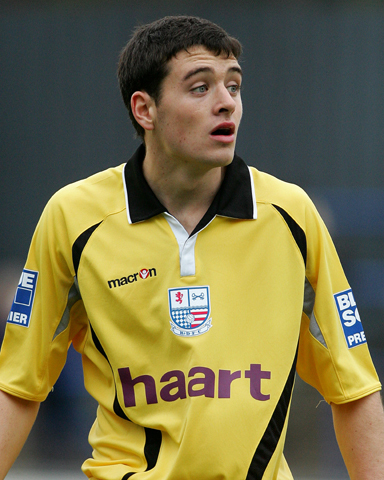 Brendan joined Garry Hill’s squad in time for the FA Cup Fourth Round Qualifying Fixture against Evesham United on 25th October 2008, where he made his Diamonds debut. He was recalled by Nottingham Forest on 27 November 2008 after four league appearances, plus an FA Cup and Setanta Shield appearance. He was then made available on a six-month loan to near neighbours Notts County at the start of the 2009-10 season and has since played for the Republic of Ireland Under-21 side. After returning to Forest, Brendan went on a further loan to Scunthorpe United on 27 January 2010 for the remainder of the season, but had to return after just three games due to injury. After a couple of months out, he managed to regain a regular place with Nottingham Forest. Brendan made 49 appearances for Forest, before joining Championship side Bristol City on a free transfer on 25 January 2013, on a 2½ year deal. On 8 July 2014, Brendan’s contract was cancelled by mutual consent after 58 appearances, and he joined League One side Yeovil Town on a two year deal. He subsequently played for Northampton Town until mid-2018, but he left the club when his contract expired at the end of the 2017/18 season. See here for his Wikipedia entry.